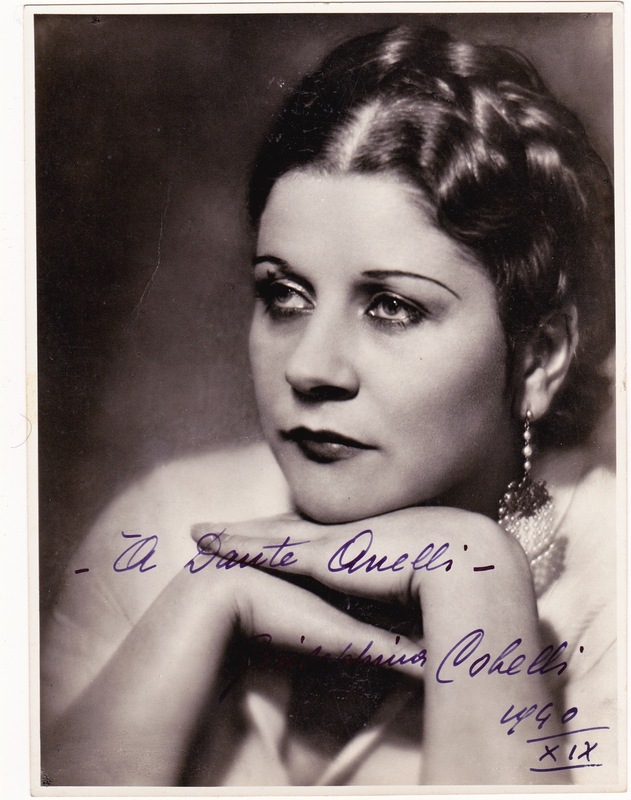 Towards 1944 Cobelli had to end her career due to deafening and four years later cancer took her life. 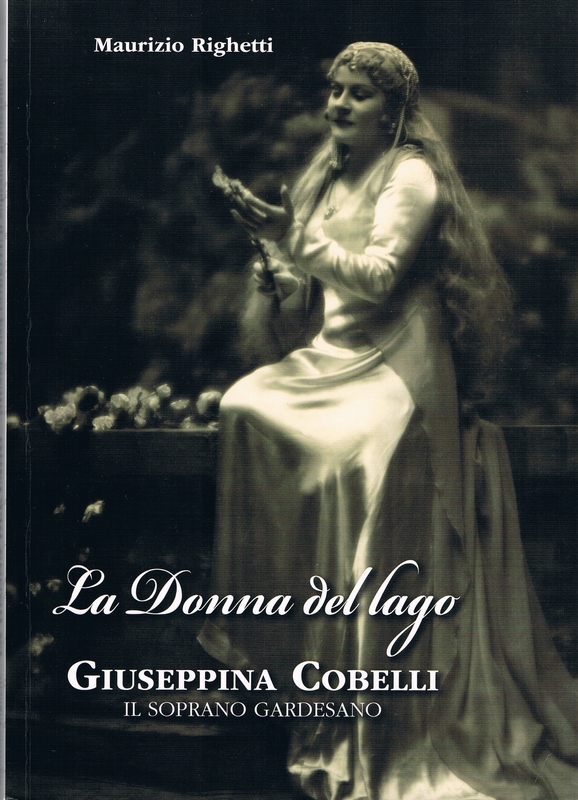 This very welcome book on Giuseppina Cobelli - the title is a reference to the place where she was born near Lake Garda- is not a biography in the chronological sense though it does start with a –well researched - biographical outline. From page 33 onwards the chapters are devoted to her specific roles illustrated with reviews often annotated by the author. There’s a repertory list and about 20 pages with excerpts from letters to her mother. This chapter may well be the most interesting part of the book for the reader as it contains first witness accounts of theatrical life in the 20-ies and 30-ies with also many telling comments on her colleagues from Slezak to Maria Jeritza. 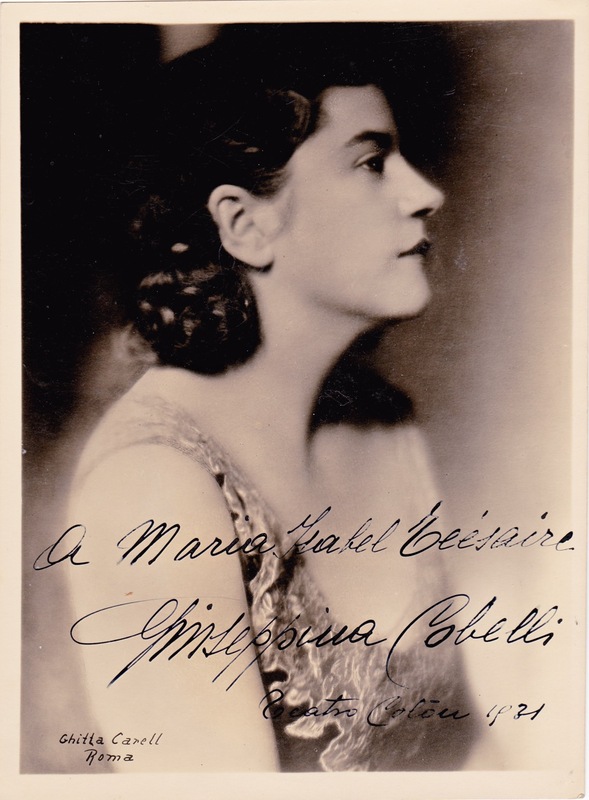 There’s a bibliography and a “discography” (Cobelli only recorded Santuzza’s aria and Suicidio in 1925) and a reference to Henry Pleasants's article “Record or perish : Giuseppina Cobelli - a personal memoir” (1) in which he discusses his meeting with the soprano just after WWII. The book is lavishly illustrated with photos both private and in her roles, playbills, contracts, facsimiles of some letters etc. At 15 euros a real bargain and a must-have for devoted ‘appassionati’ of the history of singing.